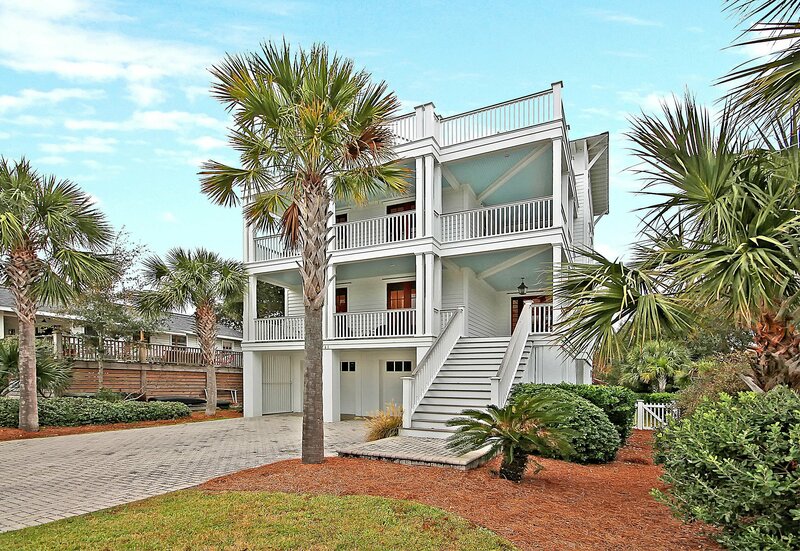 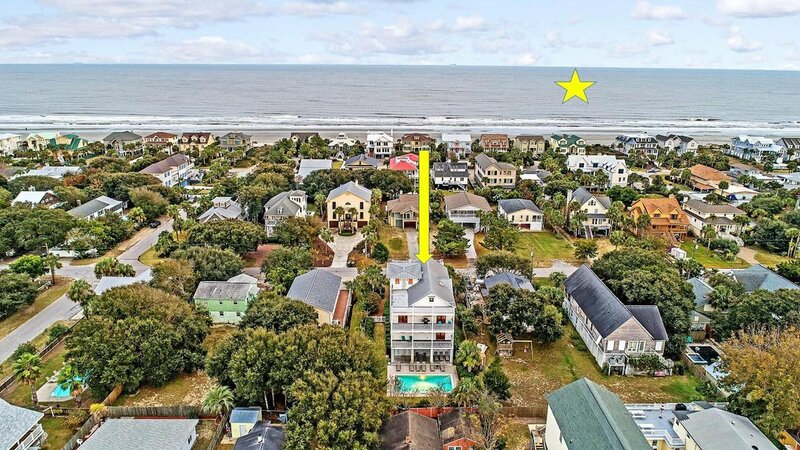 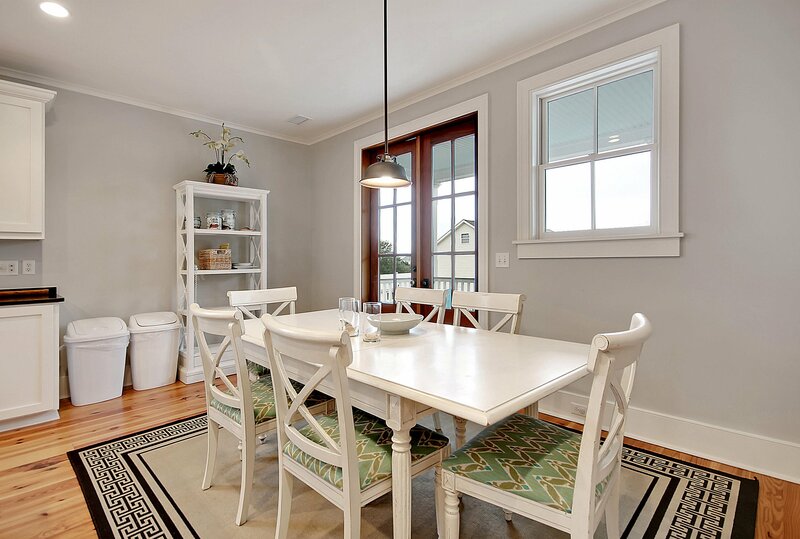 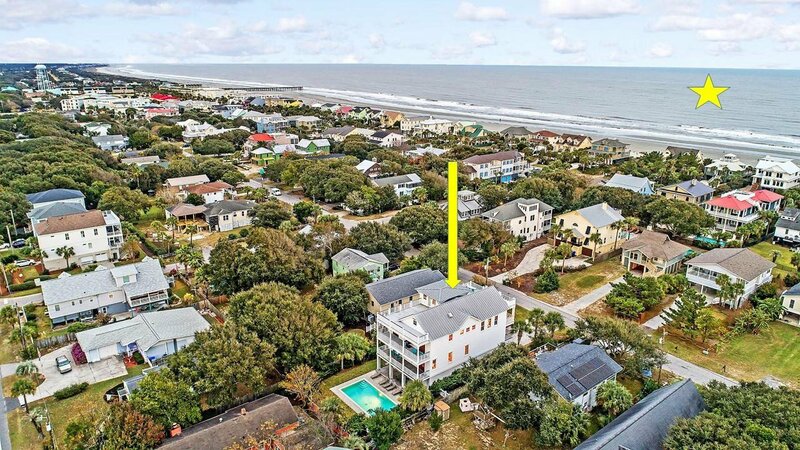 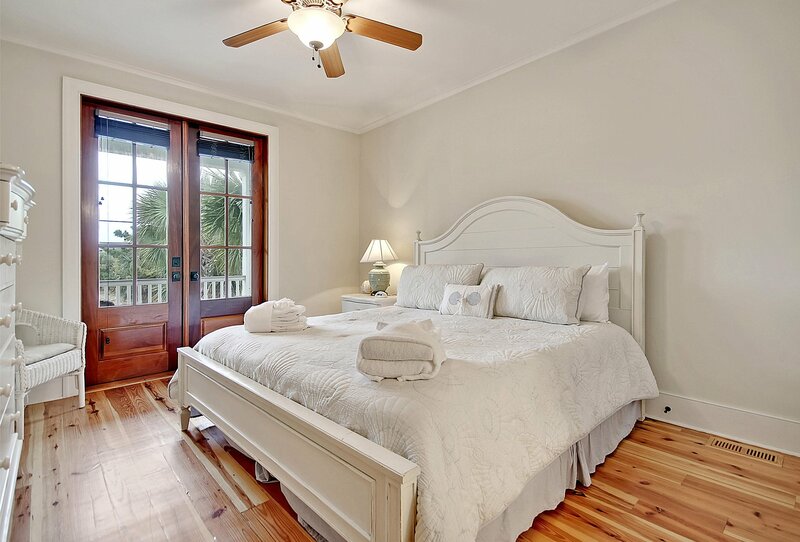 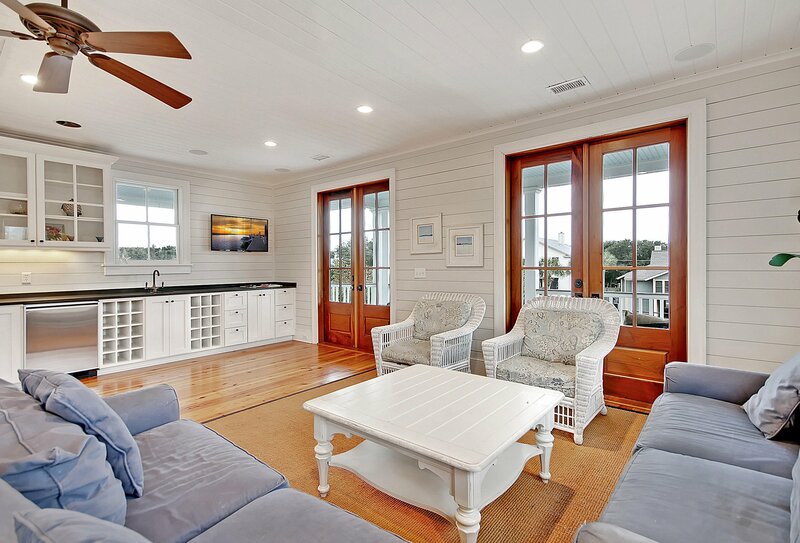 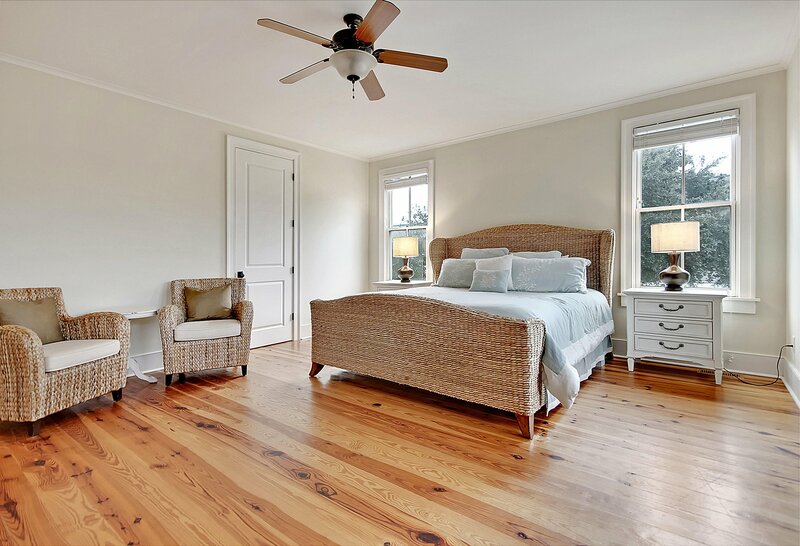 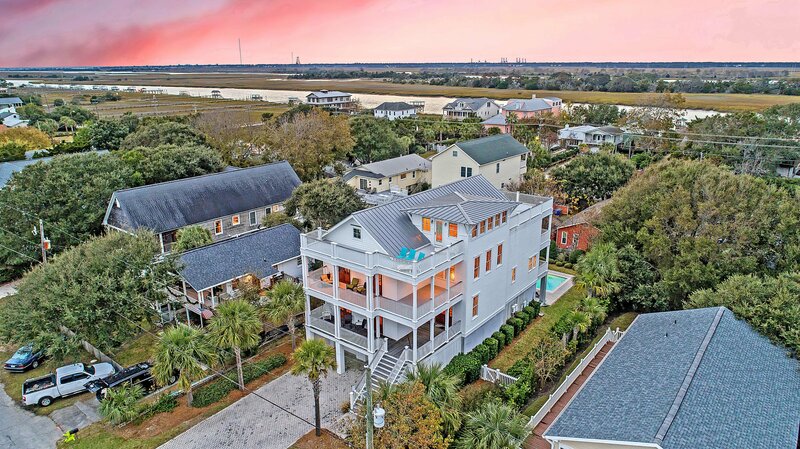 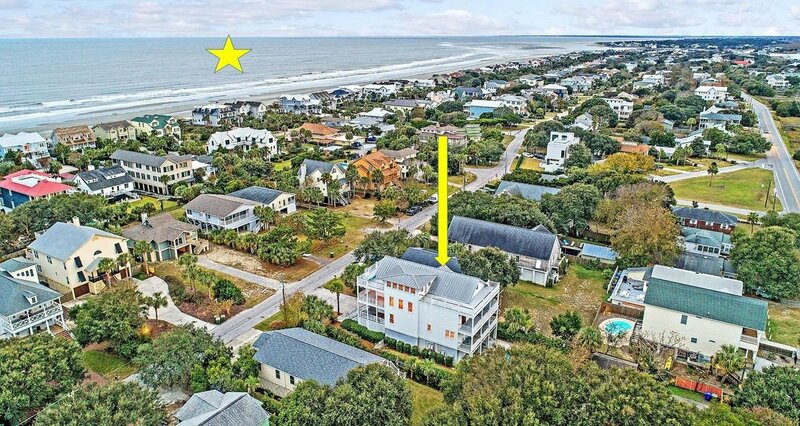 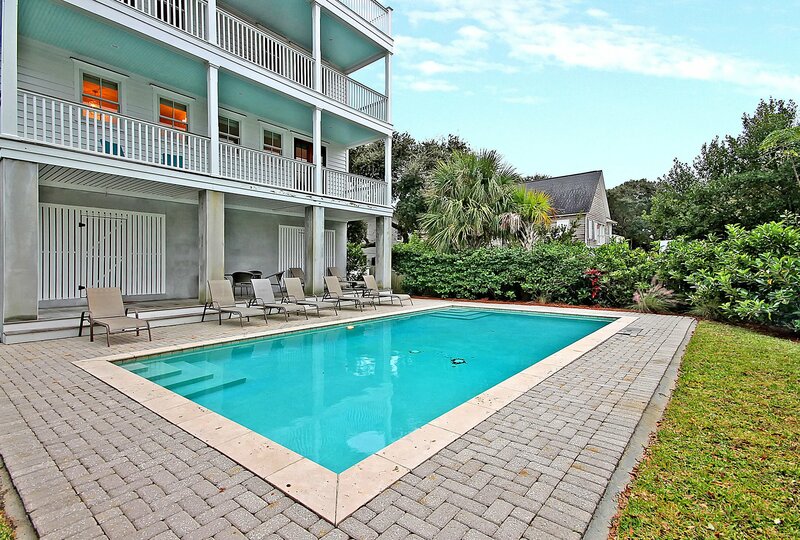 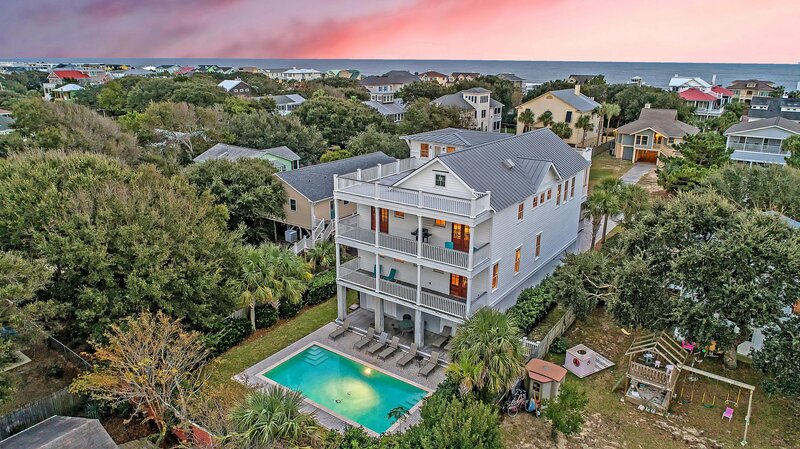 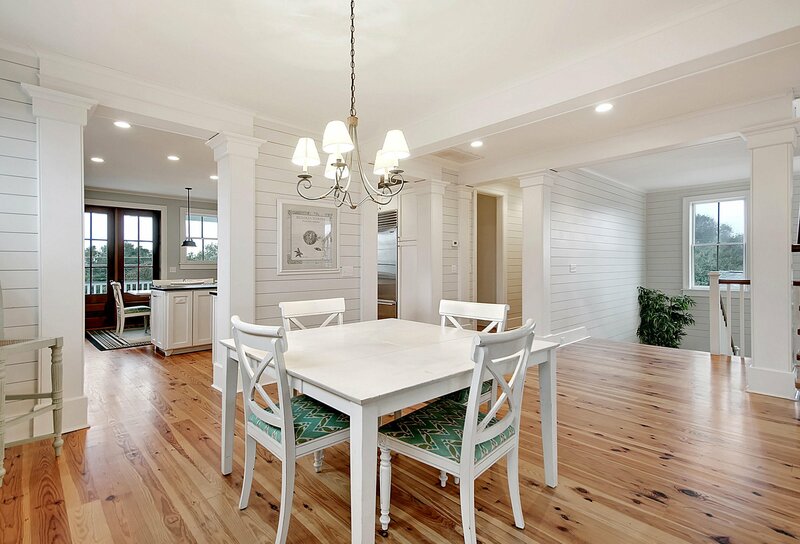 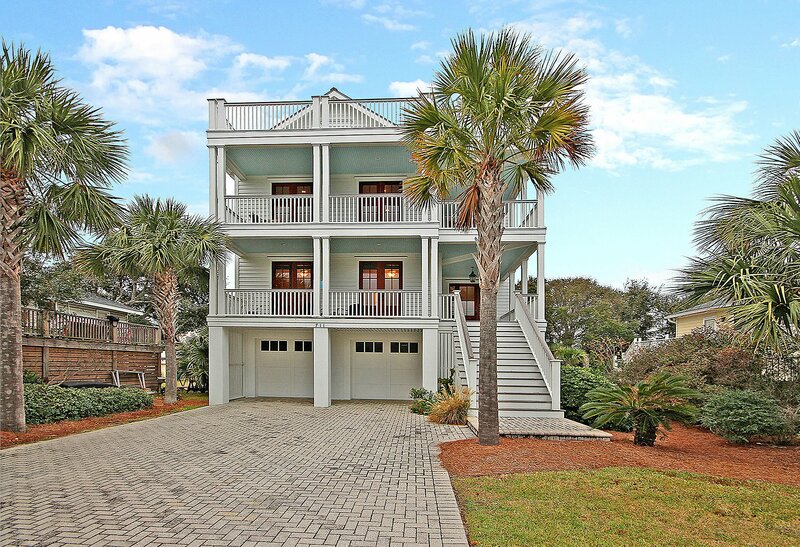 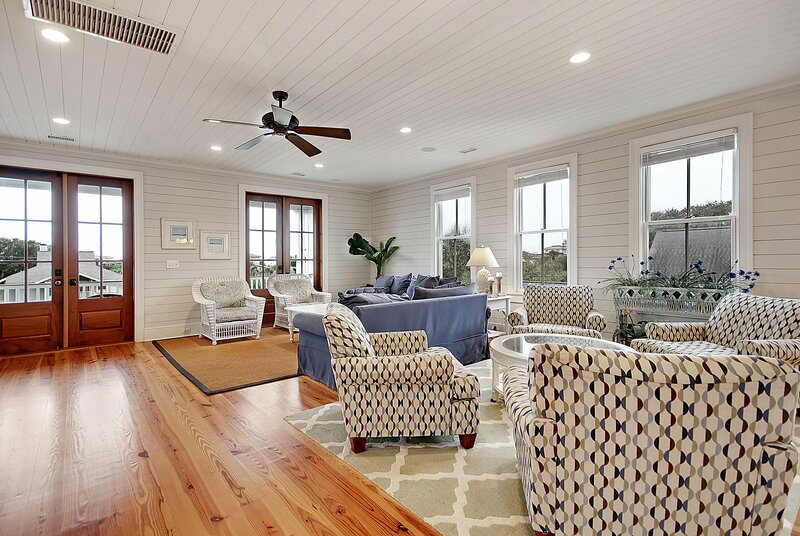 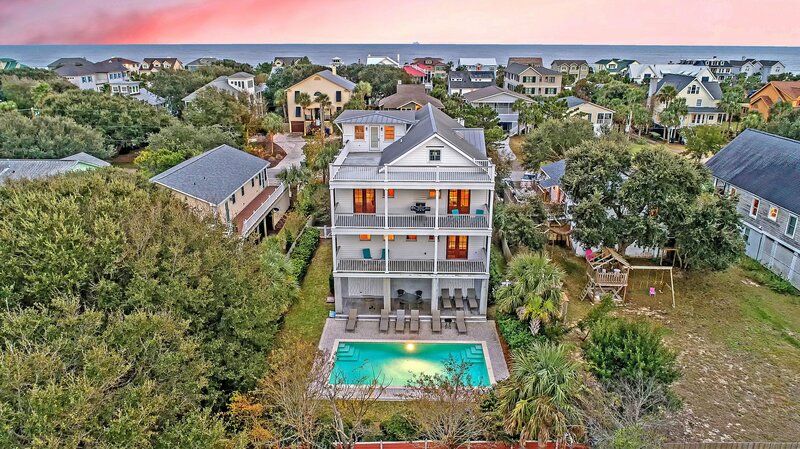 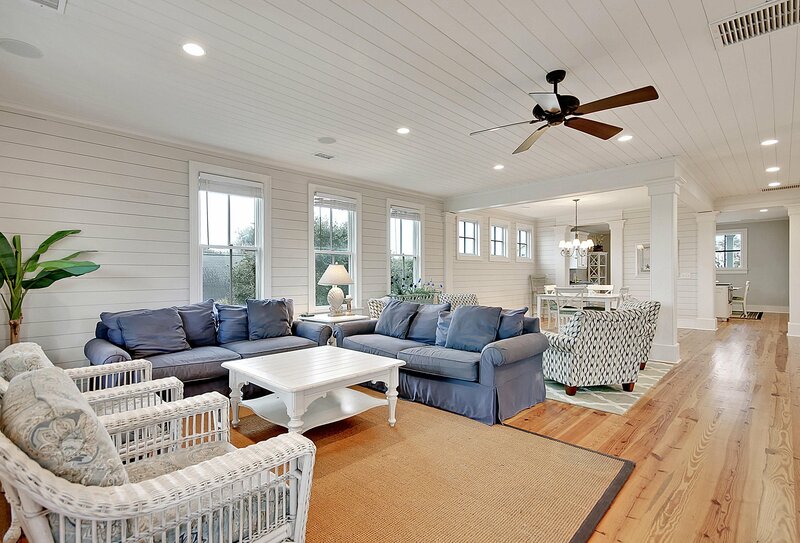 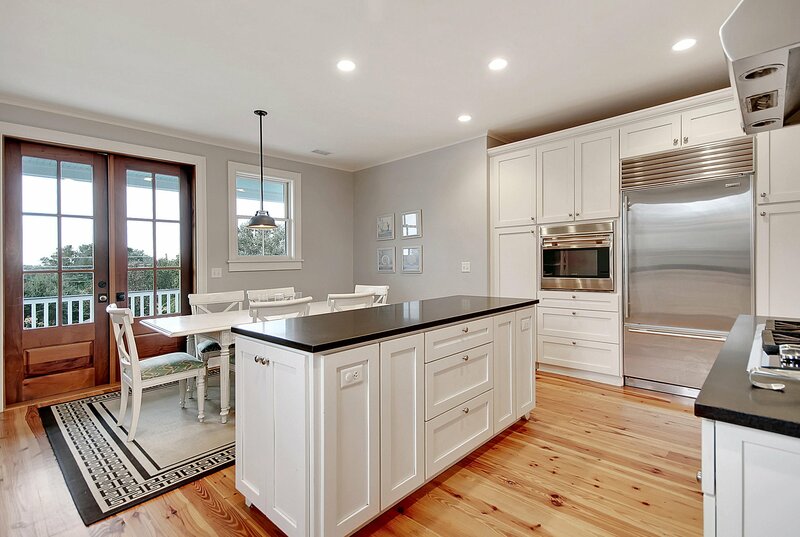 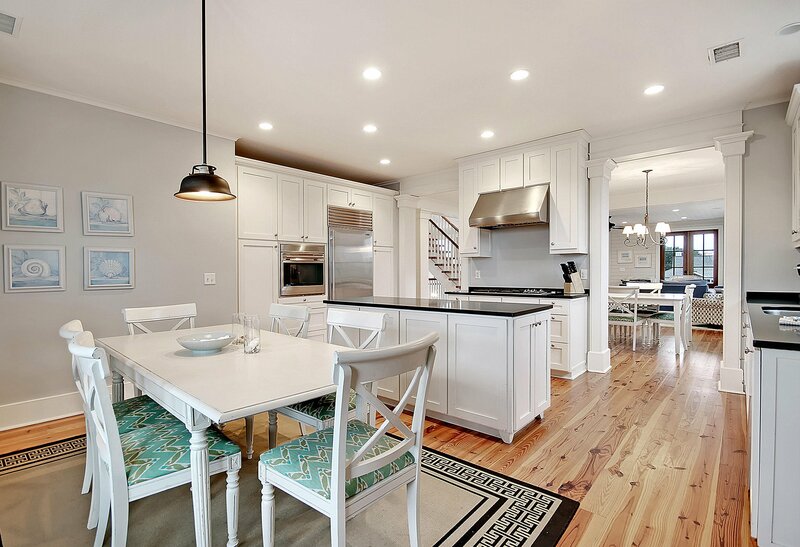 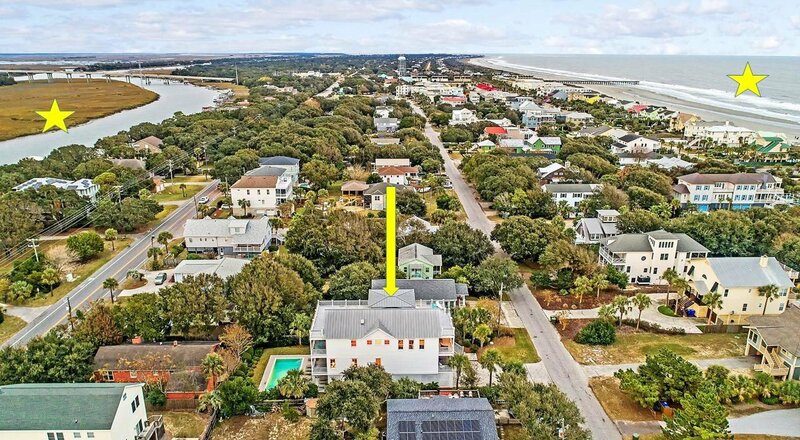 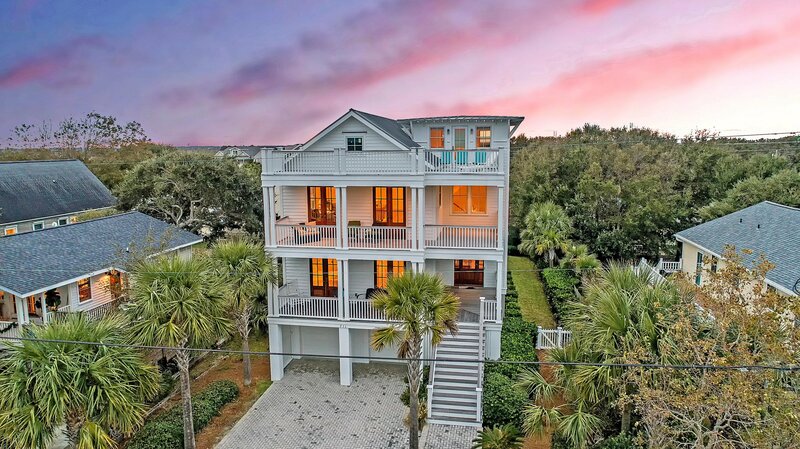 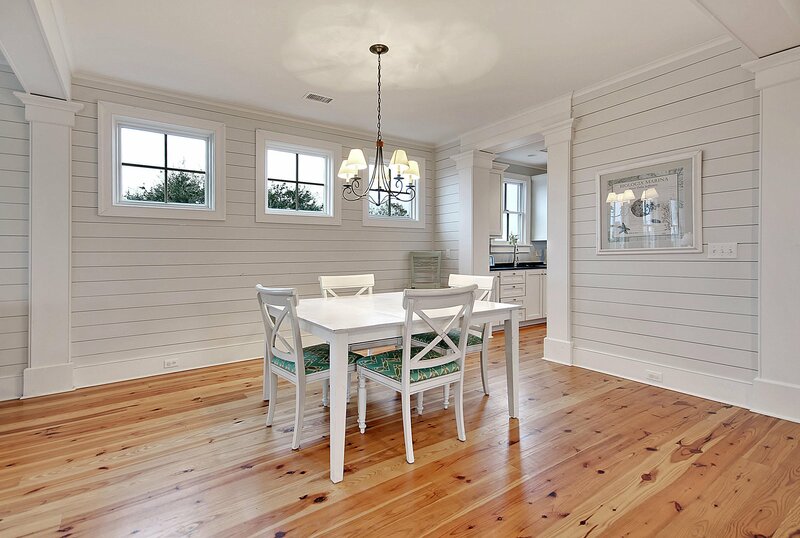 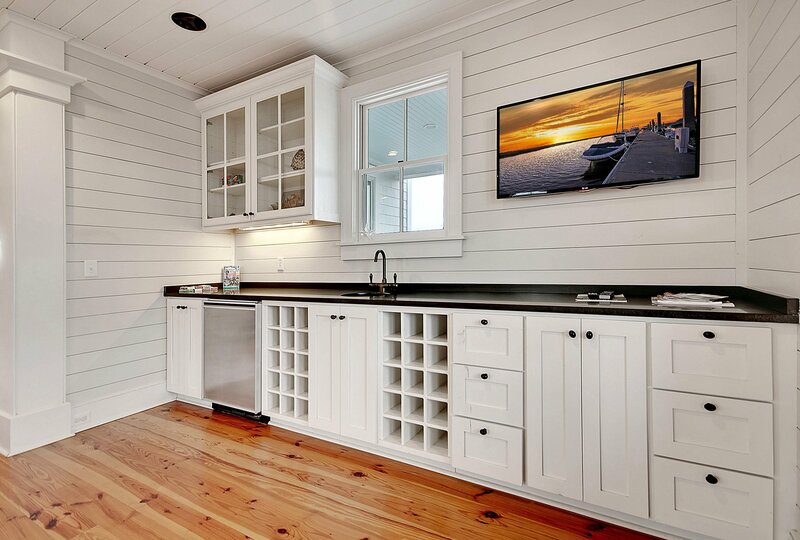 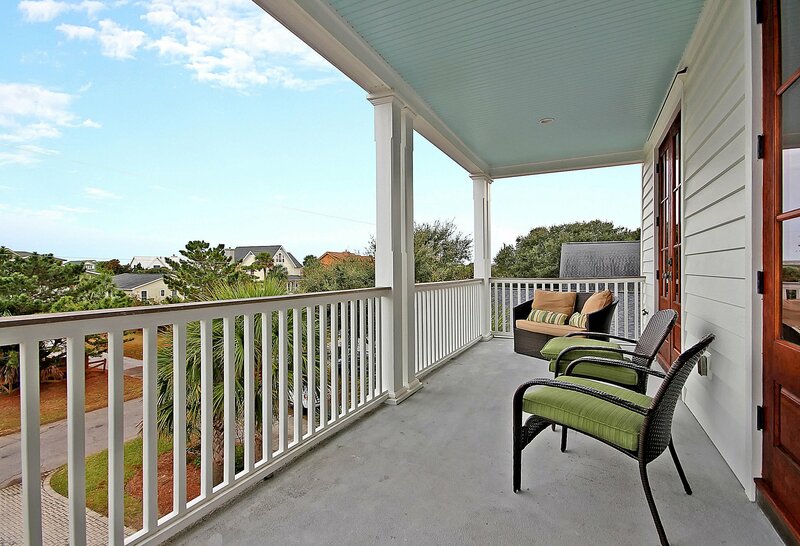 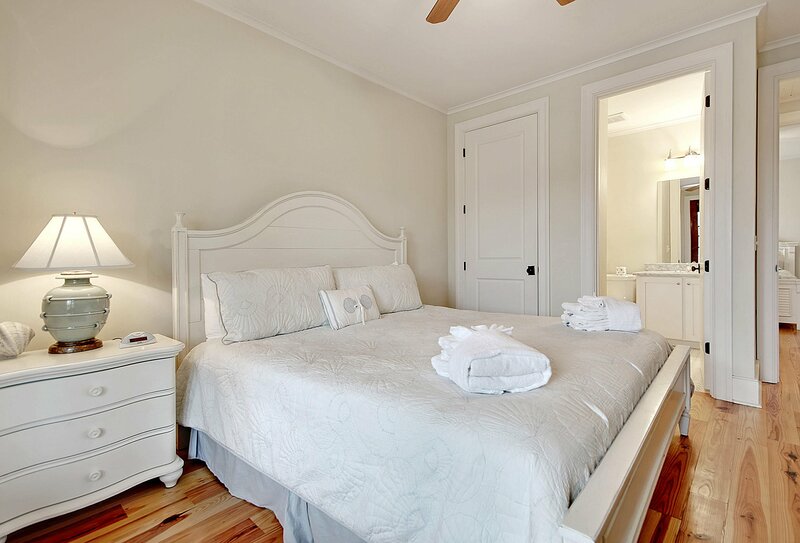 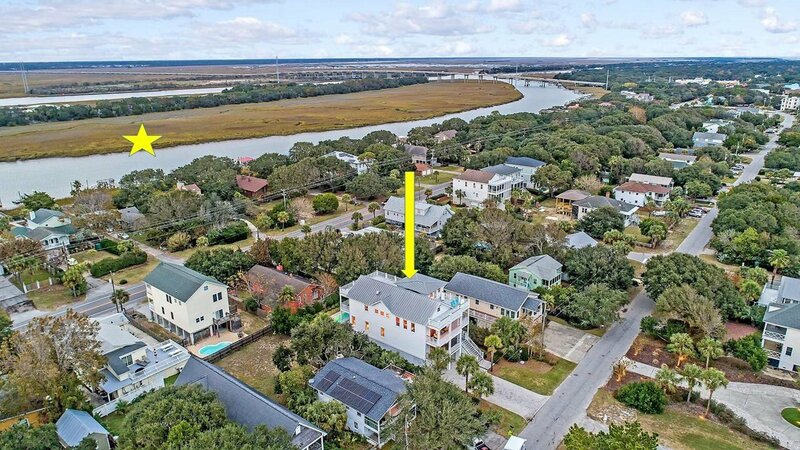 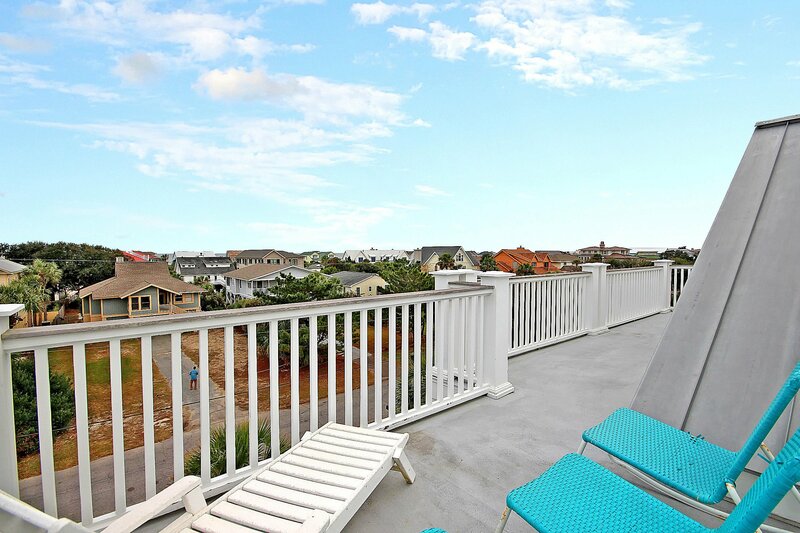 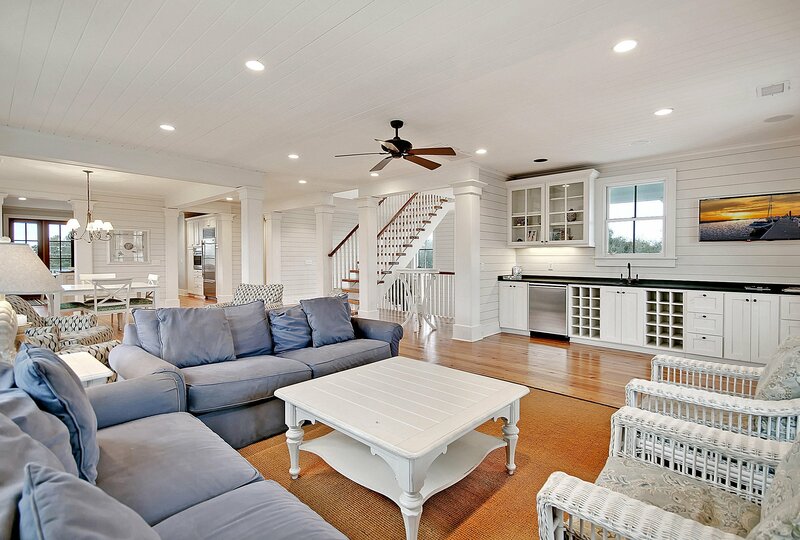 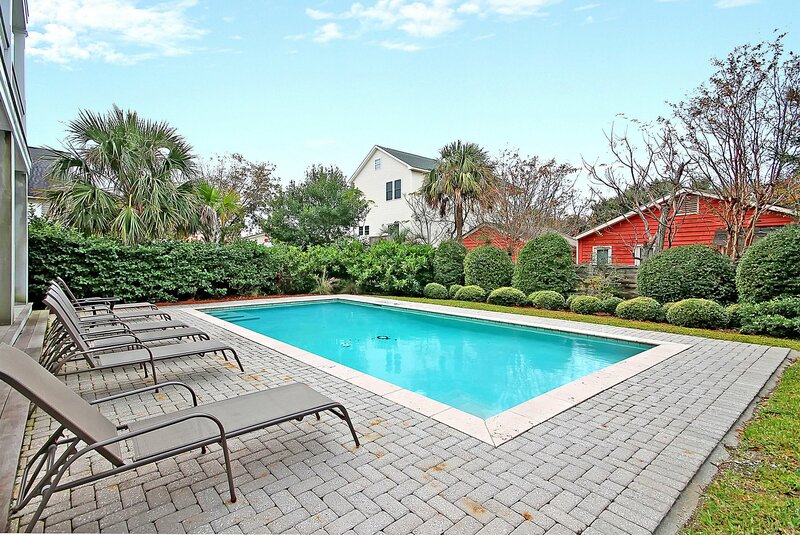 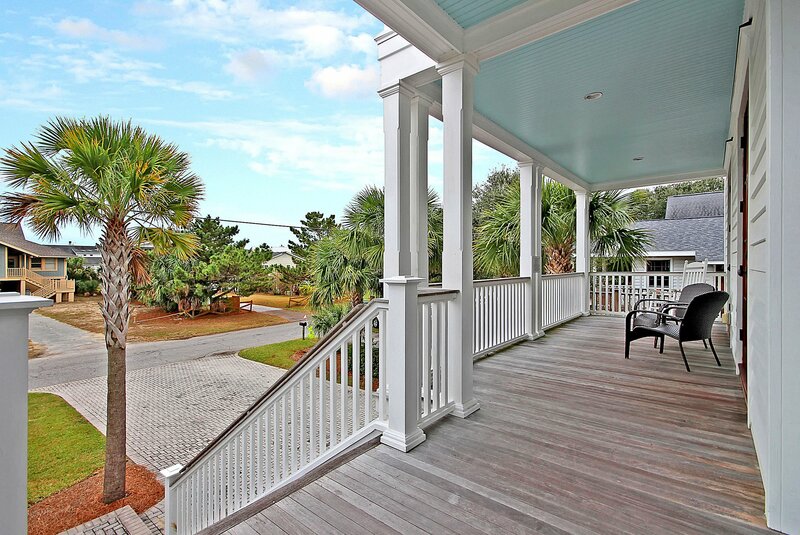 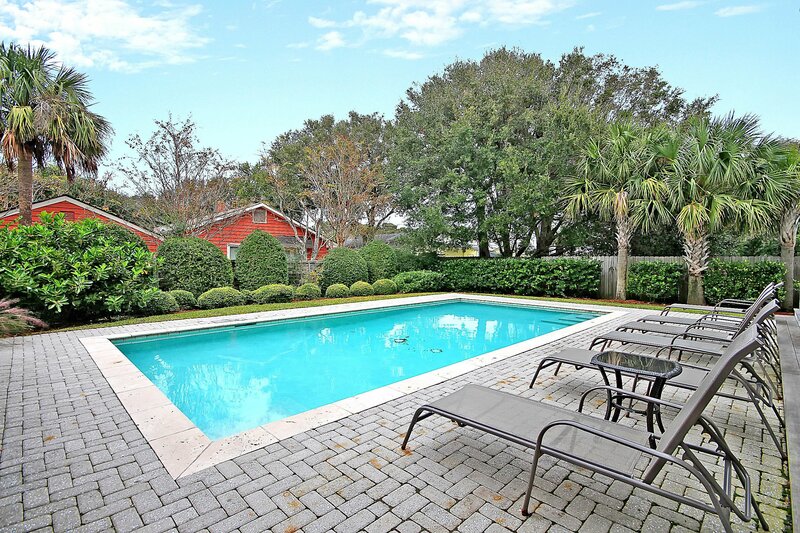 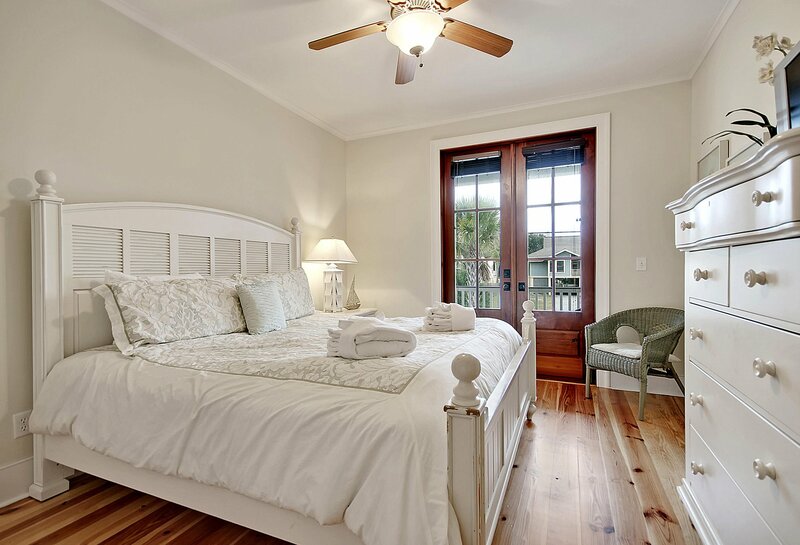 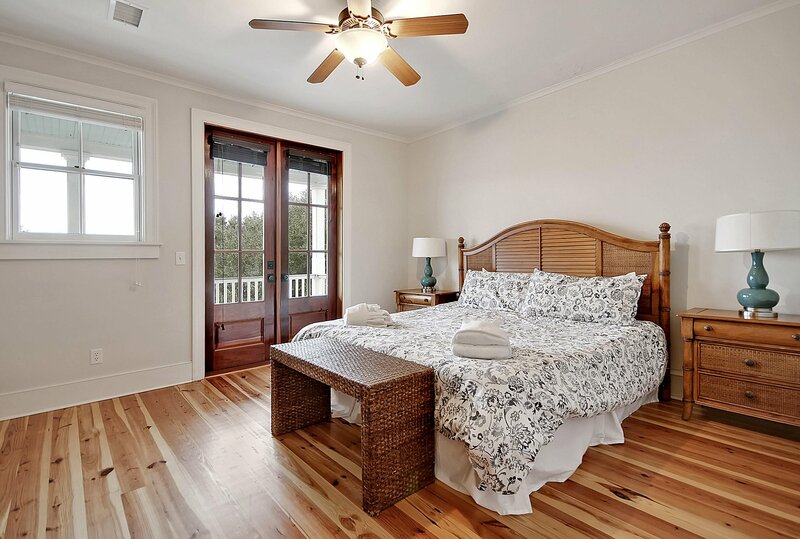 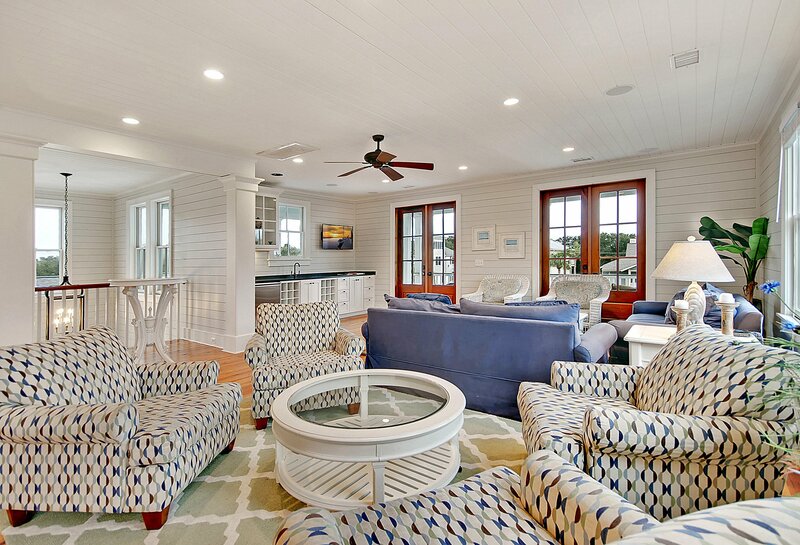 Don't settle for a tired, worn out beach home, instead be sure not to miss out on this absolutely jaw dropping, 3 level elevated home that's just over a block from the beach on Isle of Palms! 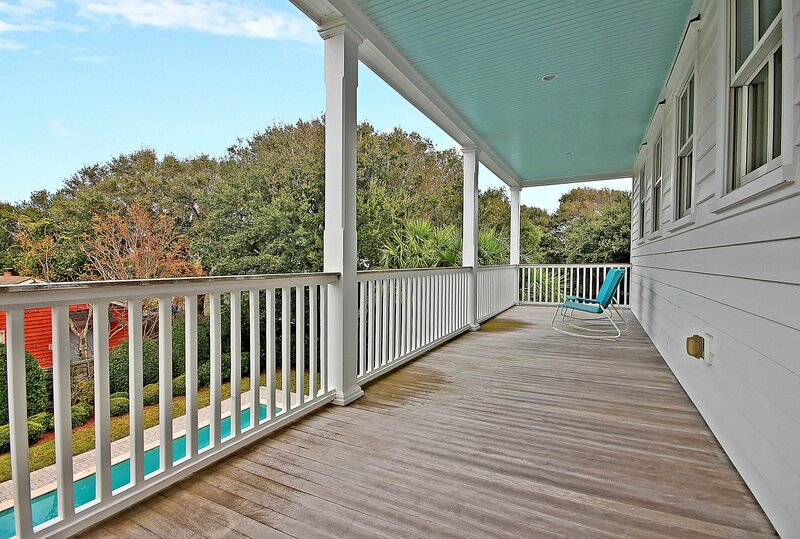 With a total of SIX wrap around porches/decks, you can tell the moment you drive up to this masterpiece that this home has beautiful & relaxing indoor & outdoor living spaces. 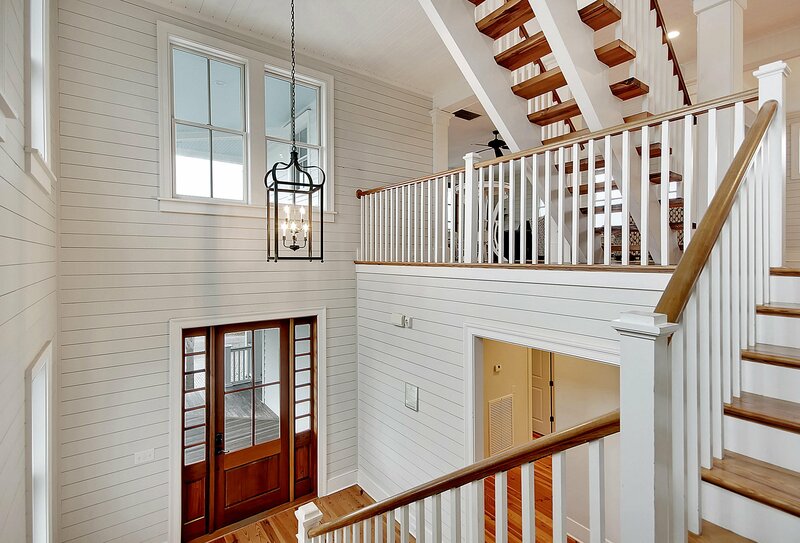 The dramatic 2 story foyer lined with ship lap gives a glimpse of where the stairs take you all the way up to the third level, just one of the many gorgeous architectural features in this home. 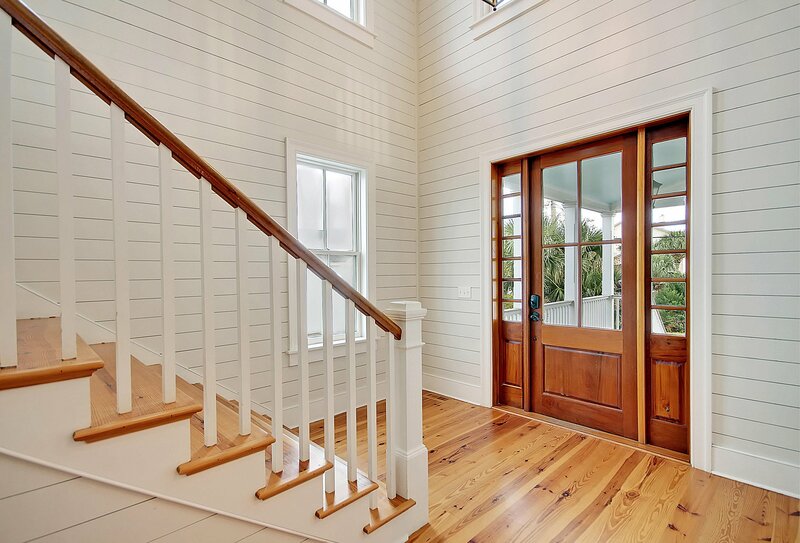 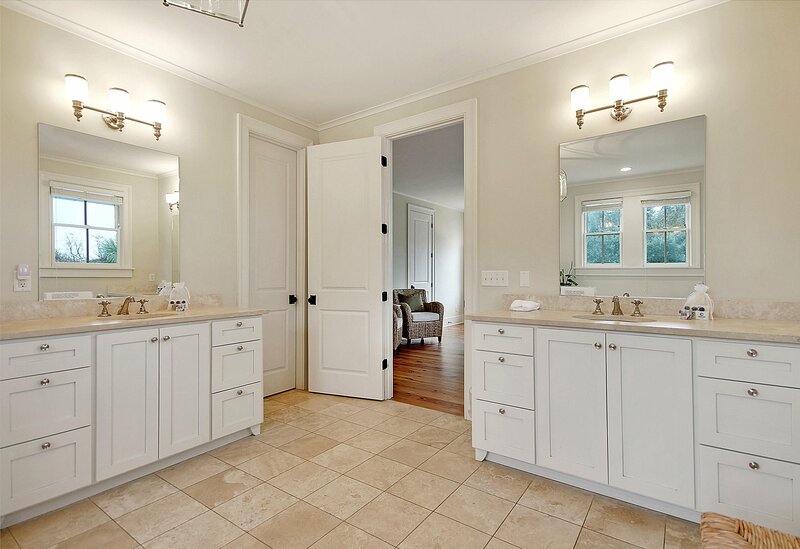 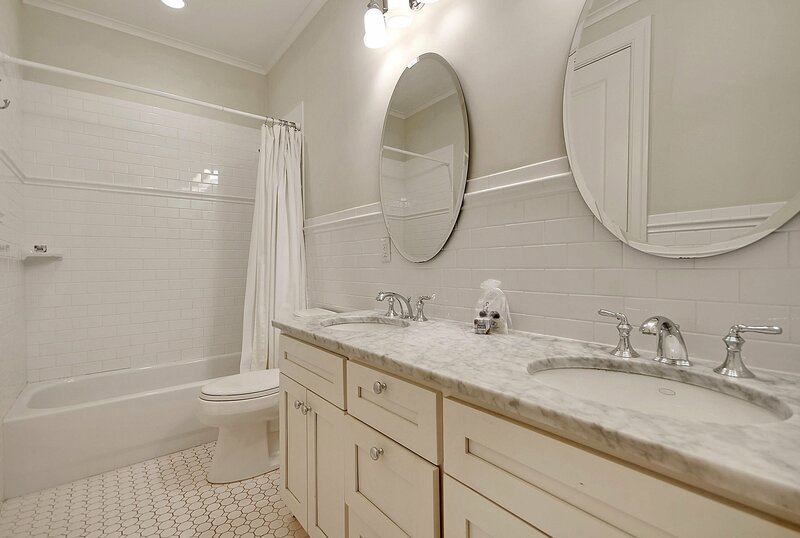 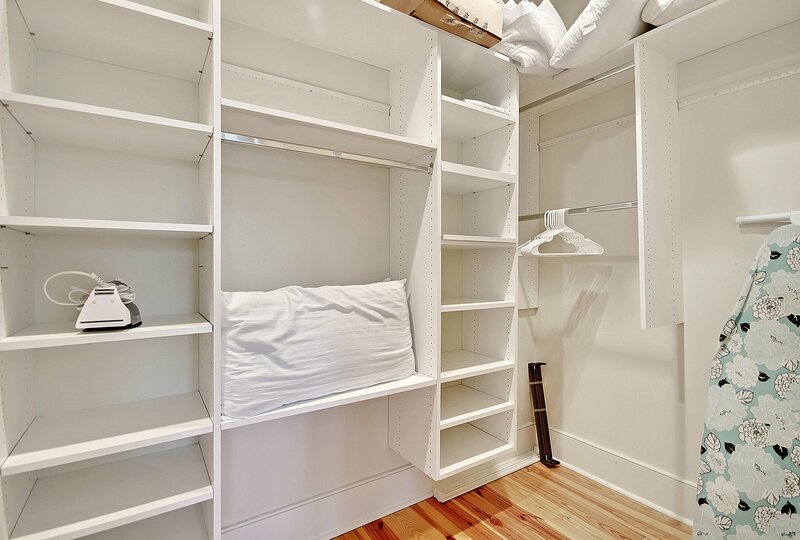 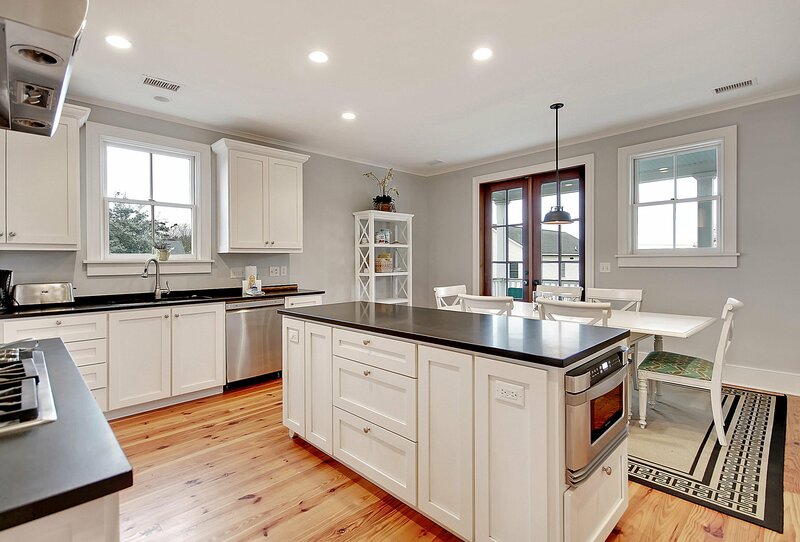 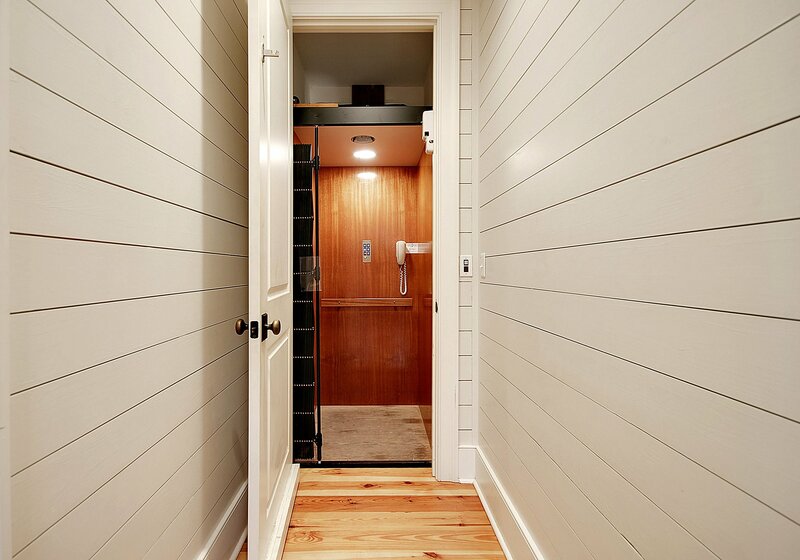 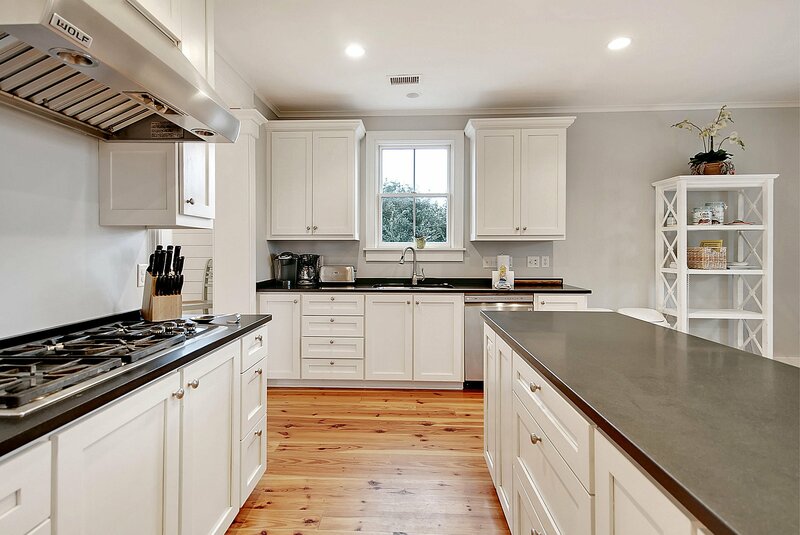 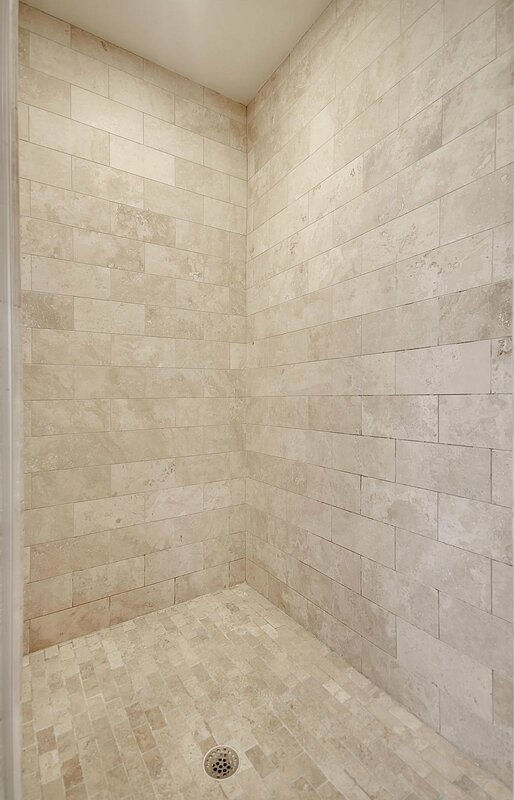 An elevator in the garage brings you up to the main level of the home which boasts a very open floor plan w/gleaming hardwood floors & ship lap on the ceiling. 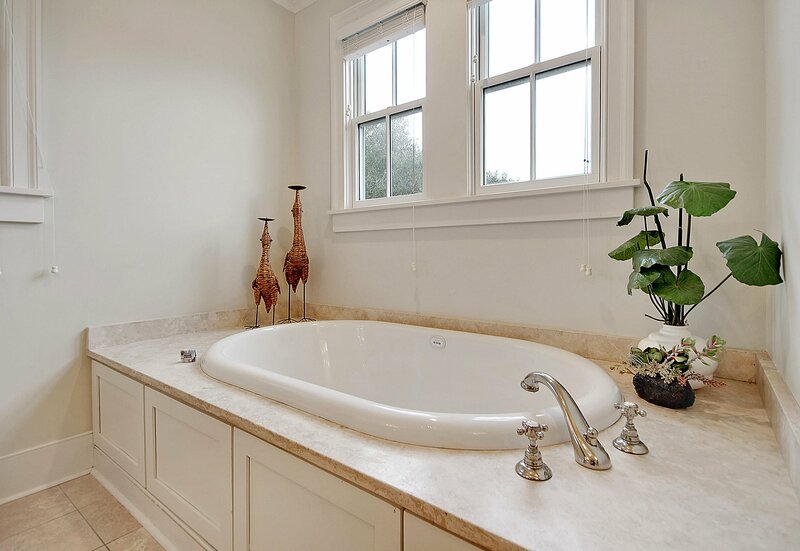 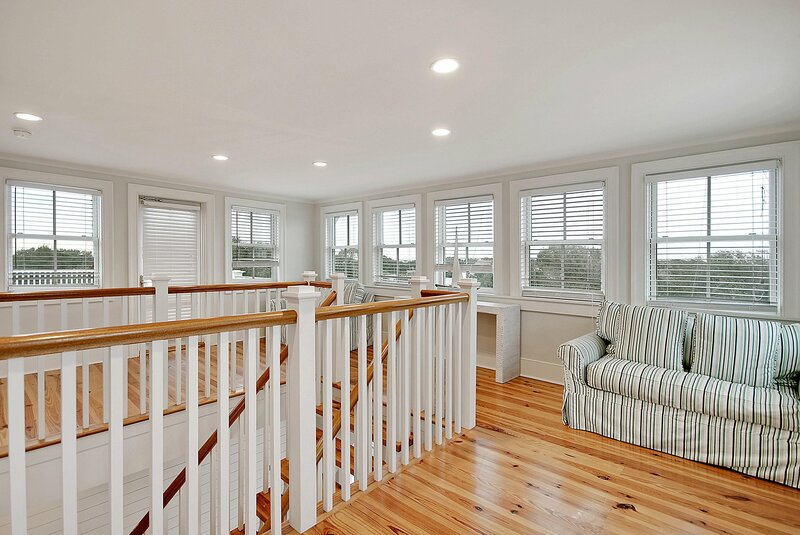 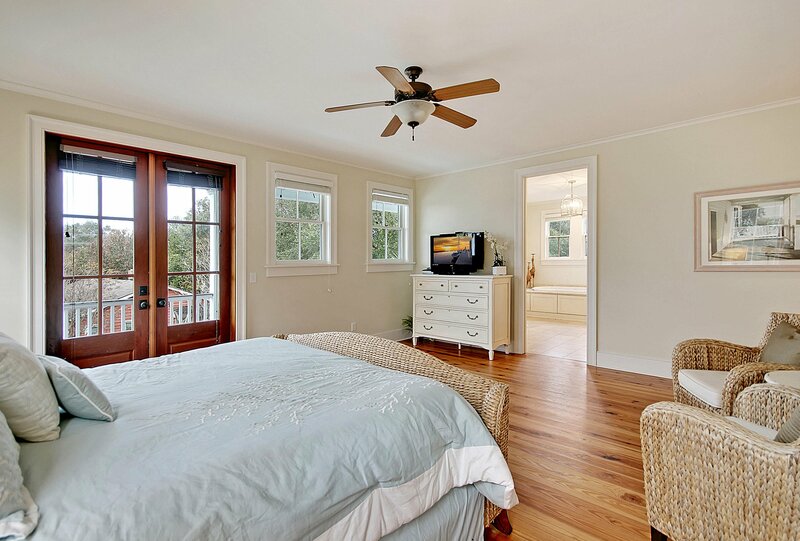 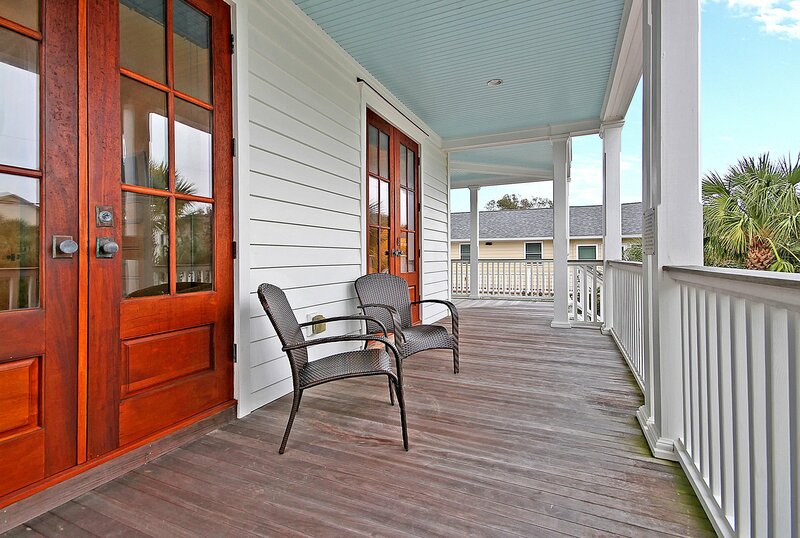 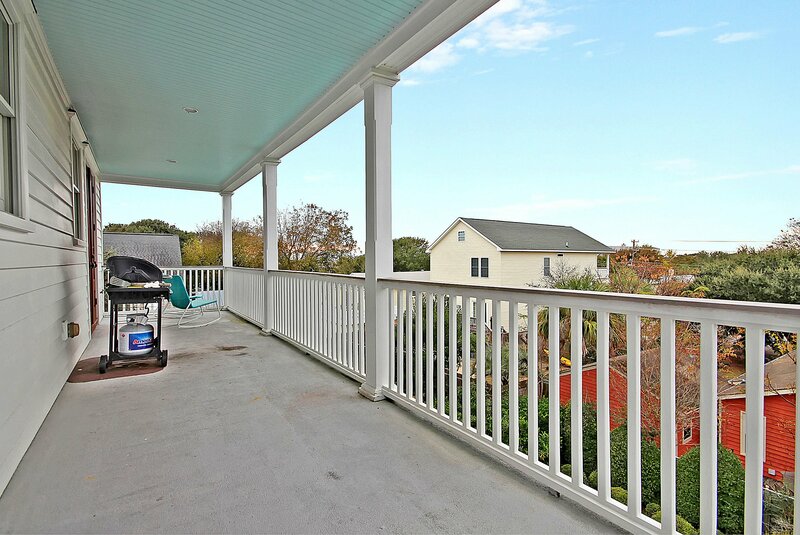 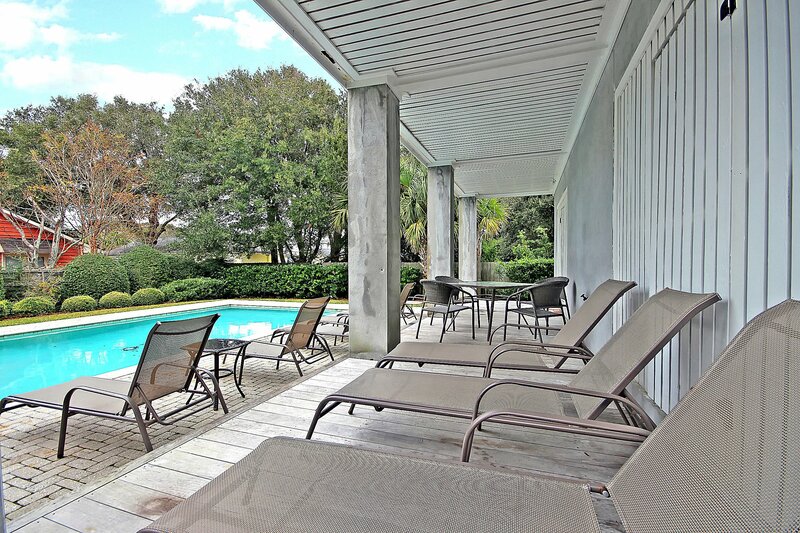 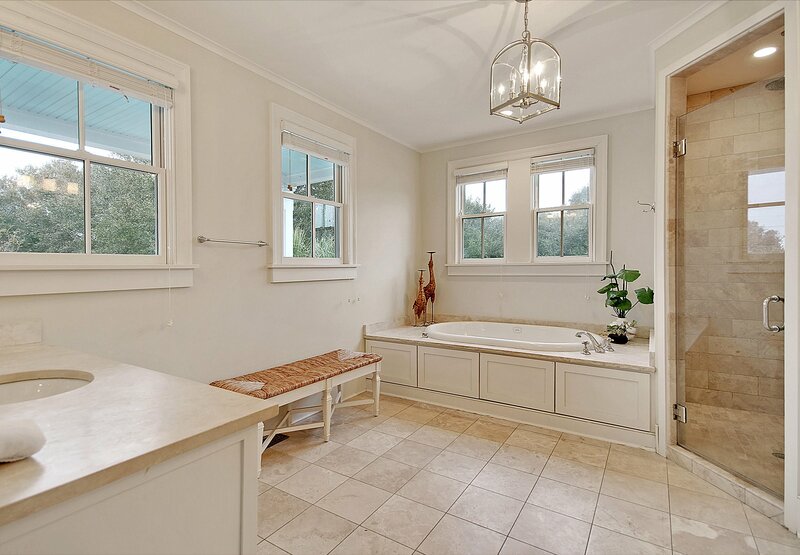 Off the gourmet kitchen is a back deck w/views of the sparkling pool & water. 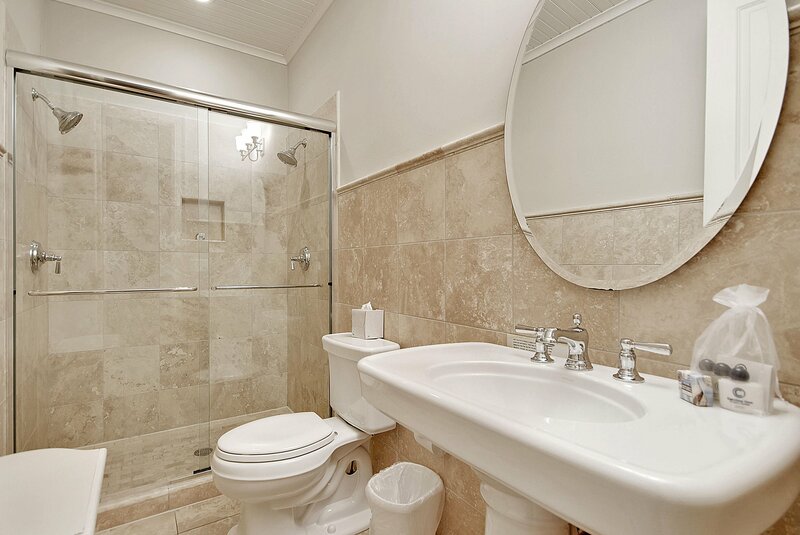 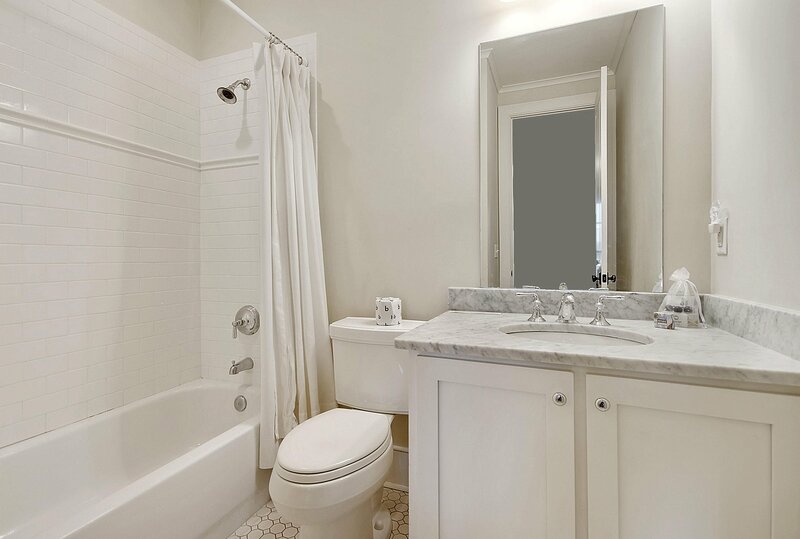 Additional features include: -Wet bar with sink and fridge on the living room -Kitchen has SS appliances, a gas cooktop, center island and eat-in area -Master bedroom has a walk-in closet and luxurious en-suite bath with dual vanity, jacuzzi tub and walk-in shower -Top level has a sitting area and access to front and back, roof top decks -Outdoor shower -Gorgeous in-ground pool Book your showing today!